Following in the tracks of the all-new Volvo S60 and V60, Volvo Cars' chassis experts are now taking the next step on the road to car enthusiast paradise. 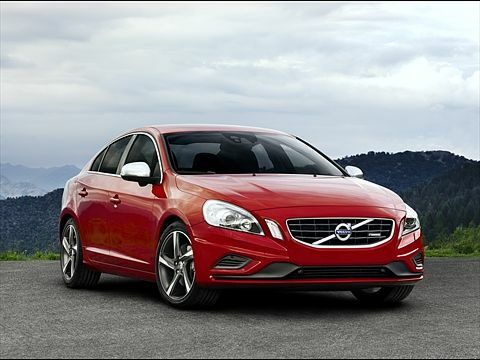 The result is the Volvo S60 and V60 R-Design - even sportier, even more dynamic and even more exciting. "Refining a chassis is a bit like being an athlete looking to break new records. Once you're beaten one record, you're immediately focused on the next. 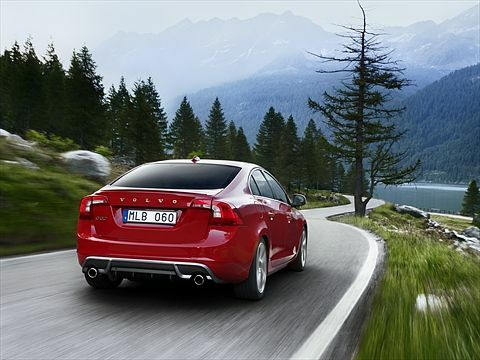 In the R-Design chassis we've sharpened the steering, the agility and the solid overall impression still further compared with the dynamic chassis in the all-new S60 and V60," says Stefan Sällqvist, manager of vehicle dynamics at Volvo Cars. He adds: "The driving experience should be so connected and compact that it feels as though the car has been milled out of a single block of aluminium." After developing the all-new S60 and V60, which are Volvo Cars' most dynamic models ever, the chassis team focused on further refining a number of details. "The challenge was to boost the dynamics without making the chassis feel raw. If the chassis is too firm, even smooth tarmac can feel bumpy. We wanted a distinct yet plush feel." relates Stefan Sällqvist. The chassis team fitted what is known as a strut brace under the bonnet, that is to say a bar that ties together the suspension strut towers. This is a classic method of stiffening up the body structure. "The car now has a more solid feel to it, which in turn helps make the steering feel even more responsive with a distinctive contact with the road," explains Stefan Sällqvist. "This higher operating speed takes care of the initial roll tendency which can be felt just as you turn the steering-wheel. It's an effective way to improve the response and the connected feel" says Stefan Sällqvist. The front and rear springs have been shortened by 15 mm to give the car more attitude. 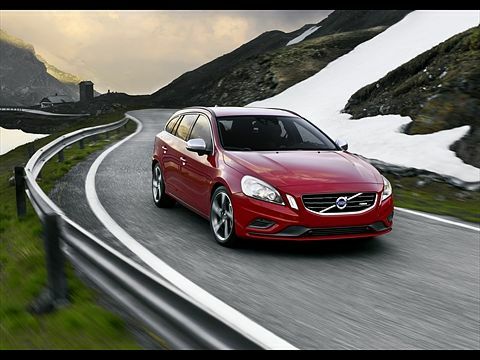 What is more, spring stiffness is 15 percent higher compared to the dynamic chassis in the S60 and V60. 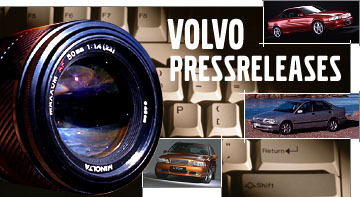 "This makes the car easier to control and reduces any tendency to lurch. This is an area that requires true fingertip sensitivity in order to find the right blend of dynamics and comfort. If you go too far the car feels bumpy even on smooth surfaces. We've invested a whole lot of time and effort in finding the ideal balance," says Stefan Sällqvist. The bushings with which the rear dampers are attached to the body are 20 percent stiffer compared with the dynamic chassis in the S60 and V60. The front tie-blade bushing, that is to say the attachment in the rear of the car, is a massive 400 percent stiffer than before to counteract wheel bouncing and shaking. "The stiffer the bushing, the less oscillation and roll. Movements are more controlled. This is clearly noticeable inside the car," says Stefan Sällqvist. 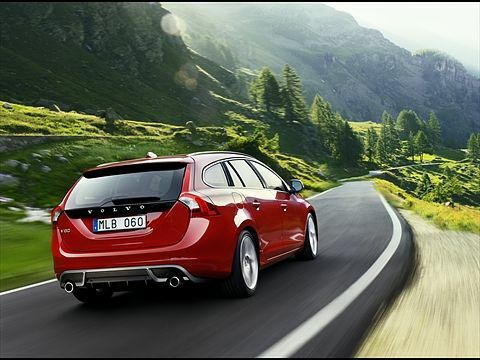 Just like in the standard versions, the chassis in the S60 and V60 R-Design is backed up by a range of electronic systems that sharpen the sporty driving experience still further. Corner Traction Control is a new feature that uses torque vectoring to make for smoother cornering. The technology is a further refinement of the DSTC anti-spin system. When taking a curve, the car's inner wheel is braked so more power is transferred to the outer wheel. This gives the driver a tighter line in the curve, with reduced understeering tendency.